4 Aug :After conceding its demand for a discussion and voting on the price rise issue, main opposition BJP was again pushed on the back foot on Wednesday when it had to withdraw a similar notice on the Bhopal gas tragedy and agree to a simple debate on the subject. Leader of Opposition in the Lok Sabha Sushma Swaraj had given a notice to the government under Rule 184, which entails discussion and voting, on the Bhopal gas tragedy and “inadequate compensation” to the victims and their kin. 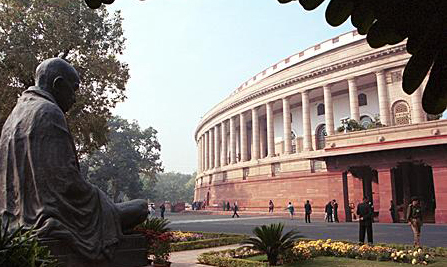 However, in the Business Advisory Committee meeting of the Lok Sabha held Wednesday, BJP found itself isolated when other parties and the government insisted that the issue be dealt with under Rule 193 which envisages only a discussion and no voting. “The Bhopal gas tragedy issue will be discussed in Lok Sabha next week under Rule 193,” Munde told reporters. Party sources said Swaraj was informed about the change only after the BAC meeting and though she was taken aback, she agreed. In the BAC meeting of the Lok Sabha, BJP and the government agreed for a discussion on “misuse” of CBI and corruption in Commonwealth Games projects next week. However, dates have not yet been fixed.